Do you need world-class Lowell carpentry and remodeling services? 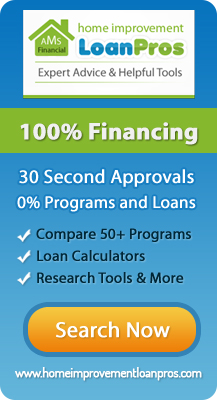 Pann Home Services and Remodeling is the local business that can help you best. We simplify residential renovation projects for customers all throughout the area. We can aid you with fixture installations in Lowell. If you want to update your kitchen faucet, we can help you with the task. Our team members take on everything from Lowell carpentry repairs to Lowell kitchen remodeling and beyond. You can phone our Lowell remodeling experts 24/7 at 617-864-2625 to schedule service today! Or, if you prefer, you can visit our Lowell carpenters at 126 Inman St., Cambridge, MA 02139. 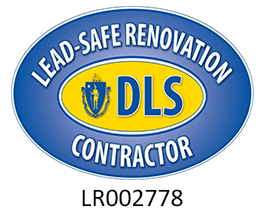 Our Lowell bathroom remodeling work is top of the line. We can update your tired bathroom flooring. We can install a fresh new shower door for you. We can even help you with brand new countertop installation. If you’re waiting for Lowell carpenters who can turn your bathroom into a modern and safe haven, our team can accommodate you with full confidence. We have Lowell remodeling experts who know bathroom design like the backs of their hands. Our team members know how to renovate bathrooms like wizards. They know how to upgrade kitchens just as masterfully. If you want to put your money into gorgeous new kitchen cabinets or flooring, then you know exactly who to call in Lowell. We offer kitchen update work that can give your home stronger curb appeal. We offer kitchen updates that can give your home value that’s a lot more impressive as well. Our company specializes in kitchen renovations that can please all tastes. If you want to design a kitchen that’s airy and contemporary, just say the word. If you want to design one that’s rustic and old-fashioned in vibe, all you have to do is be 100 percent honest with us. We’re knowledgeable regarding all kinds of design approaches and schemes. We can assist you with all different kind of carpentry repair requirements in Lowell. If you need the budget-friendly assistance of a tried and tested handyman, we’ll never fail you. Our repair work spans many categories. We can aid you with stair banisters, bathroom cabinets, siding, crown molding, baseboards and more. It doesn’t matter if you need basic repair work or something a little more intricate and detail-oriented. We can accommodate your requests like the hard-working carpentry professionals we are. If you want to renovate your bathroom, kitchen or home in general, our staff members can show you the meaning of happiness. We have remodeling expertise that knows no bounds. We can transform your family room. We can turn your master bedroom, office, den, kitchen, bathroom, and basement into something genuinely remarkable as well. We’re a company that stresses the strength of exceptional customer service. We stress the strength of complete customer satisfaction, too. Phone us here at Pann Home Services and Remodeling now to request an appointment for our fixture installations in Lowell.